Last year, Managing Editor / Swiss Correspondent Nola Martin brought us exclusive coverage from the new BaselWorld venue. In addition to an exclusive interview with BaselWorld Managing Director Sylvie Ritter, Martin took us through the brand new space at the Messeplatz Halle, which measures over 1.5 million square feet. Construction of the space required 8 cranes onsite and more than 3,500 tons of steel girders; 45,000 square meters of concrete and 5,200 tons of reinforced steel. 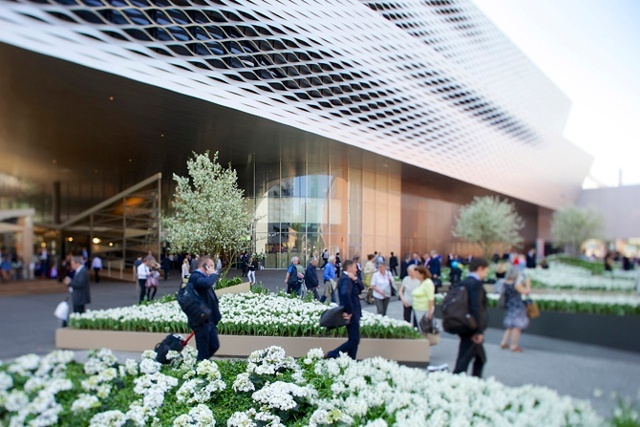 Designed by renown architects Herzog & de Meuron, the new BaselWorld venue was highly anticipated and saw over 100,000 attendees. The duo responsible for the new addition have a resumé including structures such as the Beijing National Stadium, more commonly known as The Nest from the 2008 Olympic Games and the Tate Modern in London. Martin and the rest of team iW will be bringing you exclusive, live coverage from BaselWorld 2014 from March 27 to April 3.